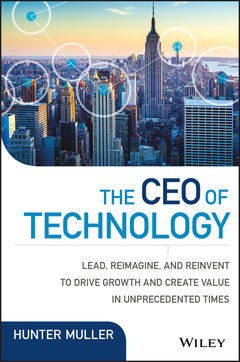 The CEO of Technology shows today′s CIOs how to become exceptional leaders and bring value to their organization. By taking lessons from some of the world′s best CEOs, you′ll develop the traits and characteristics that drive legendary leadership. Interviews with top executives at leading global technology companies including Apple, Boeing, Direct TV, Facebook, Texas Instruments, and more provide deep and valuable insight into what it means to lead in a hyper–driven tech environment. These stories provide valuable lessons that don′t come from a classroom, but only from the in–the–trenches experience of the world′s best leaders coupled with a groundbreaking leadership approach designed for the demands of today′s markets, to give you the ultimate CIO handbook. You′ll learn how to maximize the value of your greatest asset your team and how to drive performance to unprecedented levels. You′ll discover how great leaders communicate business strategy across the modern enterprise, and become a driving force behind your organization′s success. The IT industry is experiencing a seismic shift that is revolutionizing the way companies do business. The stakes are high, everything is in flux, and there are no guaranteed paths to success. Whether this revolution means crisis or opportunity is up to you; this book gives you a game–changing approach to IT leadership in the 21st century enterprise. Modern CIOs face a radically new array of leadership challenges in today′s ultra–competitive, highly volatile markets; are you capable of leading the charge to the top? The CEO of Technology offers a visionary approach and the wisdom of experience to help you join the ranks of great leaders.